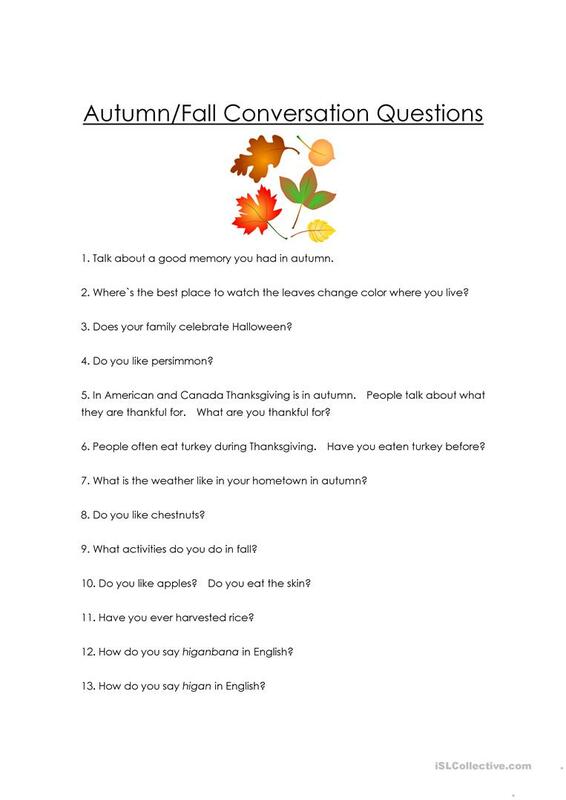 Here are some conversation questions around the topic of autumn. I wrote them for my Japanese students, so you might need to change up the last three questions. The present downloadable teaching material is recommended for high school students and adults at Beginner (pre-A1), Elementary (A1), Pre-intermediate (A2) and Intermediate (B1) level. It is a useful material for practising Word formation in English, and can be used for developing your class' Speaking and Reading skills. It centers around the topic and words of Autumn.